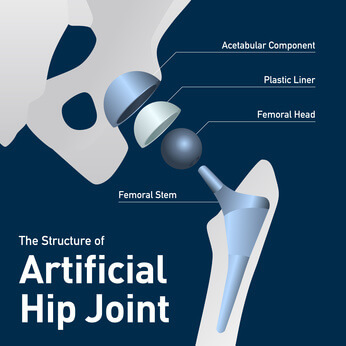 The product liability attorneys at Zoll & Kranz, LLC have reason to believe the U.S. consumer market will be notified in the near future about a safety notice or recall from medical device manufacturer Stryker involving their LFIT CoCr V40 Femoral Heads, a component in a total hip replacement. In previous litigations, we have seen safety warnings and recalls for a medical device begin in foreign countries before eventually being announced in the U.S. We have specifically seen this happen in another set of lawsuits regarding Stryker hip replacement components: Stryker Rejuvenate and AGB II. That Stryker litigation is already in the settlement phase. Recently, physicians in multiple foreign countries have been warned of potential safety issues associated with this device. Some of these warning have come from governmental bodies, such as a Hazard Alert from the Australian Therapeutic Goods Administration and a recall in Canada reported by Health Canada. Other warnings have come from Stryker via a letter to orthopedic surgeons stating, “Stryker has received higher than expected complaints of taper lock failure for specific lots of certain sizes LFIR Anatomic CoCr V40™ Femoral Heads manufactured prior to 2011.” The medical device attorneys at Zoll & Kranz, LLC believe U.S. consumers and patients deserve to know this information as soon as possible. If you are experiencing the adverse events above and have the Stryker LFIT CoCr V40 Femoral Heads hip implant, you may have a potential claim. If you are unsure of which hip replacement device you have, our experienced mass torts product liability team can assist you in acquiring that information. The Zoll & Kranz, LLC attorneys want to be sure patients are aware of the potential risk. As always, we recommend you consult your physician if you have any medical concerns, especially about your Stryker hip replacement. We focus our practice on helping patients harmed by medical devices and drugs, and we will bring our mass tort leadership experience to your case. Our team is here to listen to your story and provide a free case evaluation and can be reached toll-free at 888-841-9623 or by filling out the form here. As we receive new information, we will update the website and blog but we welcome you to call us at the office for the latest news.